The Carbon Tech Machine is designed for all-day ice to alpine mixed lines to single-pitch pillars. You need a tool that can handle any type of terrain with great all-around performance, and the Tech Machine's geometry offers great swings from steep cauliflower'd ice to calf-destroying lower-angle romps. An aggressive pick angle with a long first tooth allows secure hooking on edges, and hot forging gives great durability while torqueing in cracks on mixed terrain. The Carbon Tech Machine features a dual-density handle with multiple grip options, allowing you to shake out when pumped or choke up to get an extended reach. 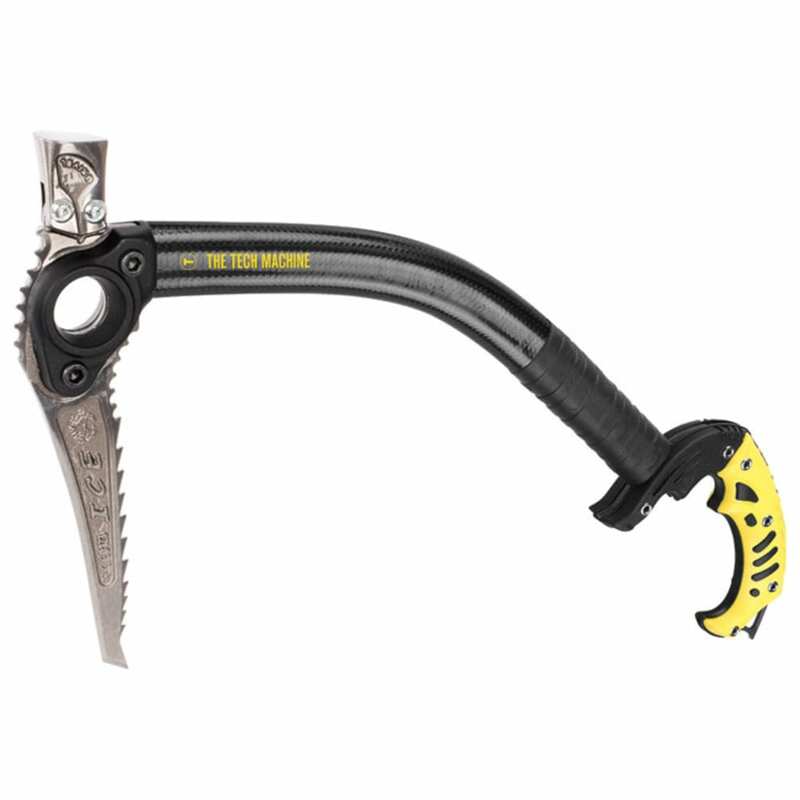 Its Cyclop’s eye on the head of the axe allows for easy racking on ice clippers, carabiners, or other racking methods. The Carbon Tech Machine comes standard with the ICE blade or Ice Plus blade with a hammer or ADZ. It can also accept the optional MIX blade.